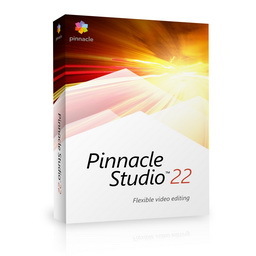 Pinnacle Studio™ 22 brings out the editor in everyone with the most flexible and creative video editing suite developed for those new to Pinnacle. With everything you need to get started, explore Pinnacle Studio and create one-of-a-kind projects using themed templates or by editing your raw footage directly on the multi-track timeline. Let your creativity shine with new Selective Color, simplified Color Grading, and Split Screen video—even record your screen and webcam with new MultiCam Capture! Tap into 1,500+ filters and effects and custom-fit soundtracks, and share your finished productions easily—online, to popular file format, or on disc with chapters and menus for an unparalleled production! Make movies that impress with the most flexible video editor, Pinnacle Studio.